Most concept cars seem to be rich in style but somewhat lacking in function. The Volkswagen eT! concept is brimming with both. 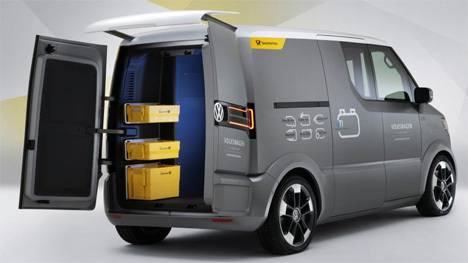 The concept delivery/courier van was dreamed up by a group of designers and developers from Volkswagen Group Research, the German Post Office and the University of Art at Braunschweig. 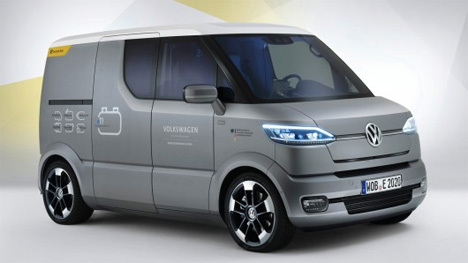 The idea was to imagine what light commercial vehicles will look like in the near future. The eT! 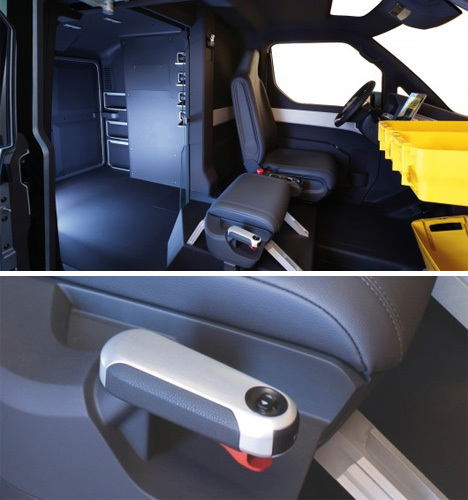 is semi-autonomous, featuring the ability to follow or come to the driver with just a voice command. A mail carrier on his rounds could command the car to “Follow me” and the car would drive along the street, keeping pace with the carrier as he walks from house to house. If the driver finds himself a long way from the vehicle and has to collect a heavy package, he can summon the eT! with the command “Come to me” and it will navigate to the carrier’s position. 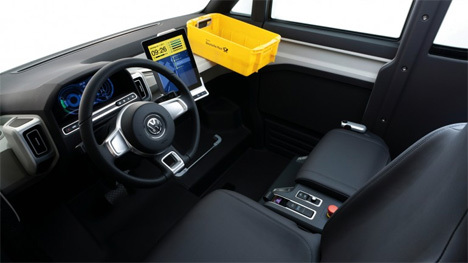 Couriers and other delivery people would benefit from the joystick feature, which allows the driver to sit on the right-hand (passenger) side of the vehicle and drive using a controller. He could then simply reach out of the vehicle to deposit deliveries into curbside receptacles rather than parking, getting out and walking to the other side of the vehicle for each delivery. This concept is a crazily adaptive design that could be modified slightly to be relevant to a wide variety of industries and applications. Pair the innovative functions with Volkswagen’s always-cool style and the eT! might become the kind of commercial vehicle that people start snapping up for personal use as well.